The Child Development Center of the Bluegrass (CDCB) proudly announces that its annual Touch-A-Truck will take place on Sunday, September 23, 2018, from 1:00-5:00 p.m. at Whitaker Bank Ballpark. 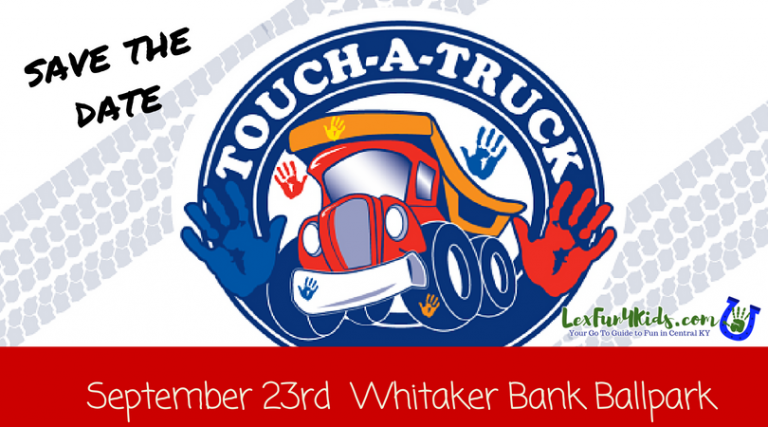 The Child Development Center of the Bluegrass (CDCB) will host the 9th Annual Touch *A* Truck event on Sunday, September 23, 2018, from 1:00-5:00 p.m. at their NEW LOCATION, Whitaker Bank Ballpark. The event offers a unique opportunity for Central Kentuckians of all ages to touch and explore construction vehicles of all sizes, emergency vehicles, and service vehicles we are typically not allowed to touch, in order to benefit CDCB. All funds raised at this event are used to directly impact the services offered to children with and without special needs. NEW to Touch-a-Truck this year…. This year’s event is taking over Whitaker Bank Ballpark and will be filled with even more fun for everyone! The Kids Zone that features multiple inflatables and a playground will be open to all children. Everyone will have a chance to take a lap around the bases and see what it feels like to baseball star. Some vehicles will be located around the outfield as well! More exciting activities are in the works. Check back often to see what all we have added.